You’re engaged and you want your family and friends to know it. No, putting it on Facebook is just wrong. You need some cool photos to show everyone. They don’t have to be taken by the professional photographer; you can take them yourself. All you need are some ideas and we’ve got some good ones! Christmas is coming soon and here’s a lovely idea how to announce a Christmas wedding. 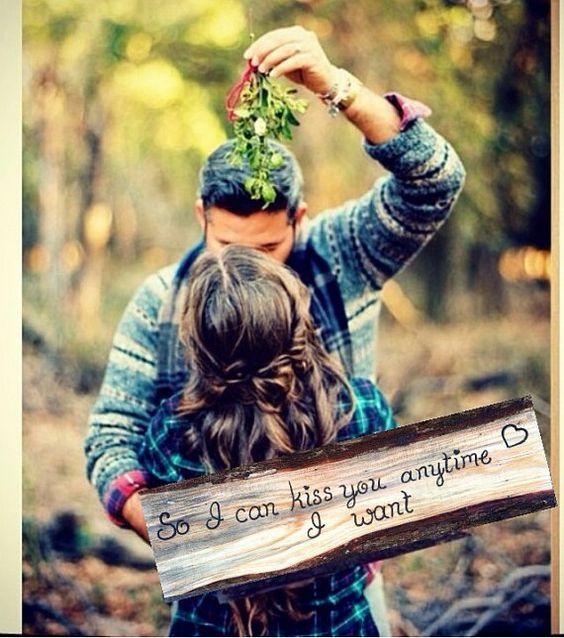 A kiss under the mistletoe is a tradition that has to be respected. How can she say no; it’s impossible! The sign this man’s holding will serve as a pretty decoration once this couple gets married and moves in together. One of the perks of getting married is that you can kiss each other anytime you want.